Money is an essential element for any business, because it fulfills the short term and long term requirement of funds. It is nt possible for the owner to bring all the money himself, so he/she take recourse to loans and advances. 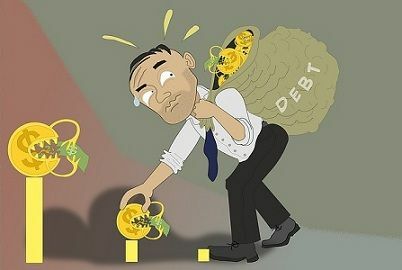 Loans refer to a debt provided by a financial institution for a particular period while Advances are the funds provided by the banks to the business to fulfill working capital requirement which are to be payable within one year. The loan amount is required to be repaid along with the interest, either in lump sum or in suitable instalments. It can be a term loan (payable after 3 years) or demand loan (payable within 3 years). In the same waty, advances also requirement repayment along with the interest within one year. These two terms are always uttered in the smae breath, but there are a number of differences between loans and advances which we have discussed in the article below. Meaning Funds borrowed by an entity from another entity, repayable after a specific period carrying interest rate is known as Loans. Funds provided by the bank to an entity for a specific purpose, to be repayable after a short duration is known as Advances. Security May or may not be secured Primary security, collateral security and guarantees. The amount lent by the lender to the borrower for a specific purpose like the construction of the building, capital requirements, purchase of machinery and so on, for a particular period of time is known as Loan. In general, loans are granted by the banks and financial institutions. It is an obligation which needs to be repaid back after the expiry of the stipulated period. Secured Loan: The loan which is backed by securities is Secured Loan. Unsecured Loan: The loan on which no asset is pledged as security is Unsecured Loan. Demand Loan: The loan which is repaid on demand of the lender is Demand Loan. Time Loan: Loan, which is repaid in full at a future specified date is Time Loan. Instalment Loan: Loans which are to be repaid in evenly distributed monthly instalments is Installment Loan. Primary Security: Hypothecation of Debtors, Stock Pro-notes, etc. Collateral Security: Mortgage of land and buildings, machinery, etc. Guarantees: Guarantees given by partners, directors or promoters, etc. Short term loans: Advance in which the entire amount is provided to the borrower at one time. Overdraft: A facility provided by the bank in which the customer can overdraw money from his account up to a specified limit. Cash Credit: A facility granted by the bank in which the customer can advance money up to a certain limit against the asset pledged. Bills Purchased: An advance facility provided by the bank against the security of bills. Money lent by an entity to another entity for specific purposes is known as Loan. Money provided by the bank to entities for fulfilling their short term requirements is known as Advances. The loan is a kind of debt while Advances are credit facility granted to customers by banks. Loans are provided for a long duration which is just opposite in the case of Advances. There are many legal formalities in the case of loans as compared to advances. Loans can be secured or unsecured whereas Advances are secured by an asset or by a guarantee from a surety. Now, from the above discussion, it is clear that loans and advances are two different terms. Loans are the source of long-term finance while the Advances are granted by the banks to meet short-term financial requirements i.e. they are repayable within one year. Interest is charged on both as well as both are repayable either in a lump sum or instalment or on demand. Great article on the difference between loans and advances! Your comparison chart is well done and very helpful. Thanks for clarifying! You covered the most important key differences for loan and advances.